October 22, 2013 /0 Comments/in Toenail Fungus /by Jenn F.
Cancer treatments like chemotherapy are notorious for side effects. 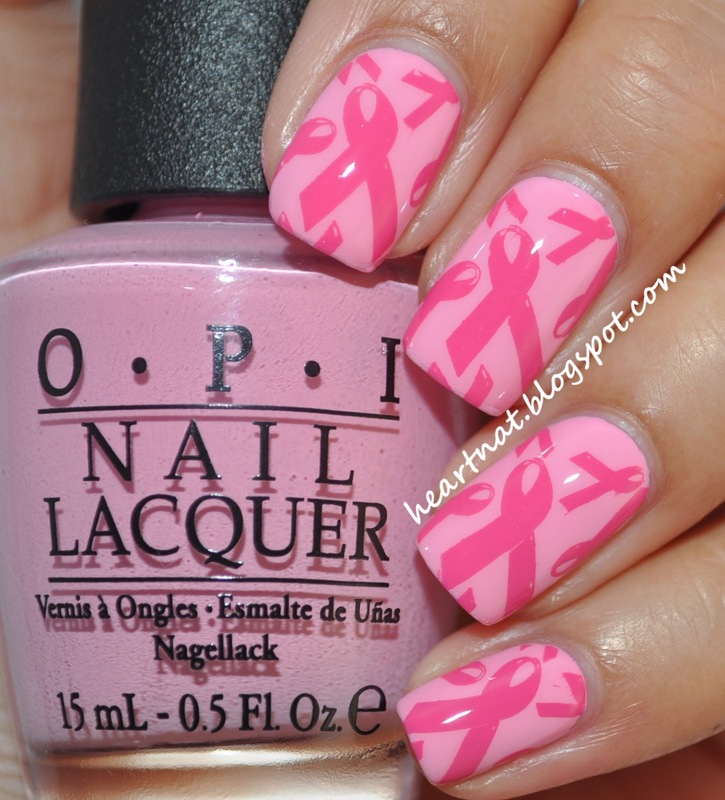 Nail complications are starting to get more attention. Most nail disorders are cosmetic, but sometimes these side effects interfere with everyday activities, says Dr. Patricia S. Myskowski, a dermatologist at Memorial Sloan Kettering Cancer Center in New York. If you’re undergoing cancer treatments, a SteriShoe UV shoe sanitizer can help limit your exposure to dangerous pathogens that could otherwise infect your toenails. 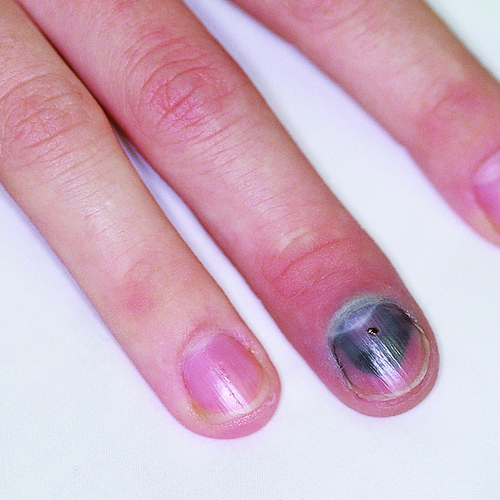 – Subungual hematomas: A “hematoma” is just a fancy way of saying “bruise.” When the soft vascular tissue beneath the nail begins to bleed, it can pool and turn the nail black. This increased pressure can cause significant pain. 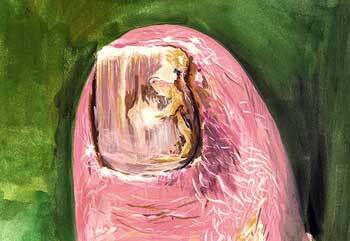 Often, a reddish milky substance leaks from the nails. Antibiotics can accelerate this drainage and healing. Cancer patients may be able to prevent this from happening by keeping the nails trimmed as short as possible to prevent bacterial and fungal infections. – Paronychia: This skin infection can come from yeast, fungus, or bacteria. Pain, redness, swelling and pus-filled blisters surrounding the cuticle or hangnail are the notable symptoms for this nail issue. The nails can be soaked in warm water several times a day to reduce swelling and pain. Antibiotics or antifungal medication may be prescribed. It could take several months to get rid of this infection. – Pyogenic Granuloma: Symptoms of this condition include small, raised bumps on the skin that bleed easily. Small granulomas disappear on their own, but larger ones may be removed with surgery, freezing or lasers. – Toenail Fungus Infection: A lowered immune system makes cancer treatment patients more susceptible to toenail fungus infections. The nails turn yellow and crumble at the edges. In serious cases, the nails may separate from the nail bed. The infection may be treated with oral antifungals or fungal nail laser treatment. Naturally, prevention is the best cure. – Keep the nails as short as possible. – Avoid frequent water immersion (where fungus may be residing). – Apply petroleum jelly to soft tissue for added protection. – Augment antibiotic treatment with topical therapies like white vinegar soaks or silver nitrate solutions. – If re-infection is a problem, dispose of bacteria-harboring shoes. Instead of throwing out your favorite shoes, we recommend treating your shoes with the SteriShoe UV shoe sanitizer for 45 minutes each day. Just one treatment with UV germicidal light kills up to 99.9% of the bacteria, yeast, fungus and other microbes inside your shoes. Limiting your contact with infectious germs will greatly reduce the likelihood of re-infection from any of these common chemotherapy nail complications. Will Toenail Fungus Make My Insurance Rate Go Up?